New to playing Espeon, is the general game plan to hit with psybeam for the confusion and come in late game with trashalanche. Even after all you said about the greninja matchup in the article, the only point I could really agree on was playing Ns earlier to conserve better draw supporters until the end. As a greninja player I have never lost to a garbodor deck, even playing with only one or two field blowers. I can easily conserve item cards and I play three choice band three enhanced hammer two field blowers in standard and two shot everything with moonlight slash, discard DCEs whenever I really need to and get crucial GWS turns with field blower. And of course three Brooklet Hill to counter parallels. In your opinion how do you think the matchup changes with higher counts of choice band and enhanced hammer versus Joey and Jon’s list? 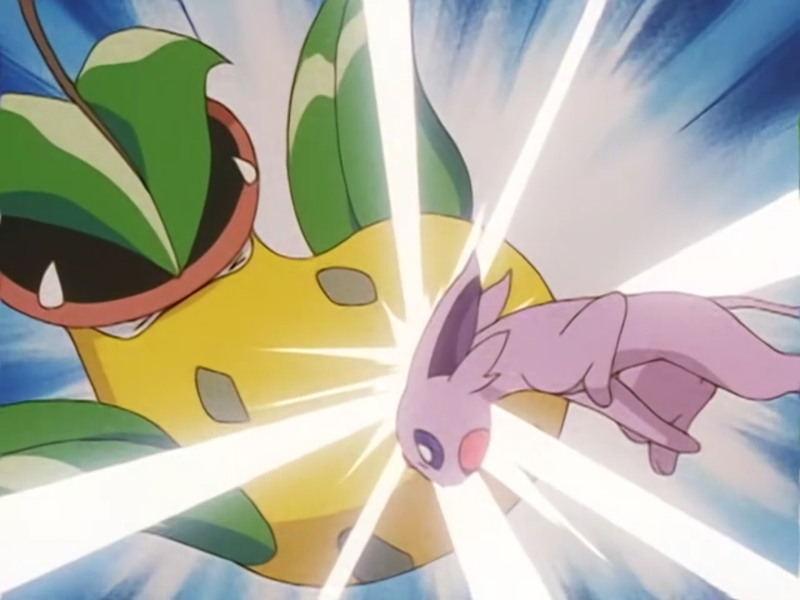 Additionally, when playing espeon one of the biggest issue I have with playing the deck is deciding whether my attachment of a psychic energy should be spread out to different Pokémon, setting up DCE attachments on more Pokémon like drampa and espeon as well as getting ready to use trashalance, or whether I should just have two psychics attached to an espeon or a drampa or even attach two to a Tauros if nessecary. For instance, if all I can draw is psychic energies, and I’ve got like two espeons a drampa a lele and one or two trubbish, and one espeon has a psychic and my drampa has a psychic, and I want to use espeons Psychic attack next turn, do I attach a psychic to the espeon with energy, or attach to the espeon without and pray I draw a DCE next turn? The goal is to use all the attacks—Psybeam included—to win with Garbotoxin then sweep with Trashalanche. I think you’ve played against bad Garbodor players if that’s the case. The Garbodor player isn’t doing enough to pressure or extend the game long enough. I think that the list doesn’t matter other than the Field Blower count. You didn’t mention whether you think it’s Greninja favored or not, but I’d estimate it to be 60-40 Espeon/Garbodor if there’s 2 Field Blower. Spread out the Energy in hopes of drawing a DCE but also recognize when you’ll have the opportunity to attach all Psychic to a Pokemon, whether it’s to play around Enhanced Hammer or because those are the only Energy in hand. I’ll even start attaching Psychic to Trubbish sometimes. Play the odds but also know when to play it safe, depending on how aggressive the opponent is. I should’ve mentioned I definitely think it’s ninja favored, but every time someone talks about this matchup all the garbodor players say it’s garbodor favored (in both formats) and I’m so confused. Of course I could be playing against bad players and additionally I haven’t lost to ninja playing garbodor mysel, and I know that there are very few good ninja players out there. I’m not sure why but i feel even Jon eng and Joey Ruettiger (no disrespect they both have like 3-4 times the amount of points I’ve got) are doing something wrong here if you 2-0ed Jon easily. I would very much like to see if there is a way to determine this. Like a video of this matchup between two good players or something. Of course I could see it from one point of view from a good player on one side, but the other side would be a player not as experienced. I get BREAKs out and now you somehow have to deal with not being able to one shot my Pokémon while I also two shot your Pokémon under ability lock. Then all I need is probably one turn of shurikens to clear your board. As I say this the matchup seems a lot more 50/50 because you could two shot with garbodors but this is all without the knowledge that I e hammer stuff. Now of course we are all entitled to our opinions and tbh I really don’t have to write this post but everytime someone prestigious talks about this matchup they say it depends on field blowers and that it’s in garbodors favor and I’m really just trying to see what is going on in peoples minds. So sorry if this is to long or something lol. Your argument hinges on getting 3 Frogs with duplicates, evolving all of them, then evolving them all into breaks, AND having Field Blower on the exact turns you need. You also can’t clear my whole board in one turn because I’ll set up a 2nd Garbotoxin using another Trubbish. Also, you’re wrong on how to play the matchup from the Espeon side. Divide isn’t worth using on T2. It’s not necessary to go immediately into Drampa, because there’s Lele, Tauros, or simply letting Espeon die. You can’t 2HKO unless you have Choice Band 2 turns in a row either, or get stuck with -20 by Parallel. Tldr when Greninja draws amazingly it wins, but that happens less than 50% of the time. TBH that isn’t too hard with splash energy. So you don’t go for early KOs? I don’t understand this bit. Are you saying you just poke things and try and disrupt them with parallel and Taurus? Of course seeing the matchup this way I don’t understand why you would do this but allows me to see that everyone has been playing the matchup “wrong” (if what you said truly is the correct way to play it). How does Splash energy help when you’re evolving your first frogs? Like on t3 into Greninja. On the turn you draw the blower you’ll need 2 Breaks in play and the 2 Energy to actually Shuriken with. The damage doesn’t actually matter unless you’re finishing off Pokemon on the Bench or sniping either type of Garbodor twice. Not if they don’t advance the board state, the goal is to drag on the game. It’s not hard to say that 90% of players have no idea how to play Espeon/Garbodor. It’s more important to force Items and chip damage for Trashalanche later than to overload a Drampa that will just be removed after one turn. Get KOs early game on froakie/frogadier if you start lele or espeon and have the opportunity and then once ninjas are established, chip away at them with Tauros and other attackers with parallel in play until you can take trashalance KOs or KOs in general that advance the board state to where they don’t just stream ninjas and field blower into GWS. Use N as early as possible to possibly but probably not disrupt them and to mainly thin your deck of supporters that won’t be useful if you get Ned to low counts back. Establish Garbotoxin by the turn before breaks start hitting the field. I understand this a little more, but not enough tbh. When they use moonlight slash and put you under the pressure of being 2-3 shotted and the threat of e hammers and field blowers are still there; once tauros is practically useless… what? It’s hard to see how the game can be dragged on when greninja applies pressure as a one prize attacker that can 2-3 shot everything. Even with parallel. Do you go into espeon and psychic? Do you chop with drampa to get rid of splash? Do you berserk? Rage? Mad Bull? Wait until they have damage spread everywhere and divide? Conserve super rod set up tons of trubbish and pray they play a bunch of items for trashalance fuel? Yeah, the goal is to take early prizes if possible but not overextend. It’s important to try and figure out where the threats are, sometimes it’s better to Guzma Berserk a Greninja to prevent 2 BREAKS from coming in to play than to smack the Active damaged BREAK. Short explanation: at the end of this, there’s a damaged BREAK instead of a fresh one. Parallel should only be used for removing damaged attackers from the Bench. This way, the game goes on long enough to where it’s decided by Trashalanche. Limiting the Bench of Greninja is useless. Your comment about Enhanced Hammer, to be honest it doesn’t really matter and advances the game farther down. If you’re using it on my active Espeon or Drampa and then hitting into it, I probably will just abandon it with Parallel rather than attach again. There’s enough attackers with Super Rod to that there’s no required commitment to any specific one. Chopping for the purpose of removing Splash isn’t good, but it’s more to hit for 20. I haven’t done it recently in any games because I feel that this is a losing position anyways. Tauros is there to hit for 60 and threaten Mad Bull/Rage. Depending on how it’s used, Tauros can take up to 3 Prizes. It’s more so used as a threat of destruction than actual. An important play with it is to Horn Attack after using Parallel + N, (Garbotoxin too), so that you take a Prize with Horn Attack, then with Mad Bull, then Rage. Obviously, the game plan can change quickly because of Guzma, Items played, and how the opponent responds. The “praying for lots of items” must happen at some point, and by then Trashalanche should be doing a fair amount of damage. On those turns, it’s more likely that you’ll be using Guzma to snipe a KO than to hit for -10/-30 of the Active health total. I played espeon/garb at portland and got top 32(seniors), we had similair lists, with the exception of parallel city, and i was wondering what your reasoning behind playing it were? Thanks! Yeah Guzma is important for switching attackers and finishing off things for Prizes. I’ll usually put a Choice Band on Garbotoxin instead of Float Stone so I can have the added mobility on a Tauros or Drampa, which can both get stuck by an untimely Enhanced Hammer. Parallel City is important because it gives the deck some form of healing/discarding of damaged Pokemon. Espeon/Garbodor is fragile without it because many Zoroark decks can overrun it or outlast it with Acerola. Parallel is broken in both directions, while Po Town requires multiple Tapu Koko and Espeon-EX to use effectively.